What does that statistic prove at all? If kids go to the E.R. because they play on playgrounds, does that mean that they shouldn’t play on playgrounds at all? Because that’s certainly one way to lower the number of playground-to-E.R. visits. But are kids really safer if they don’t run and climb and get used to falling, jumping, being active? And while we’re at it: Are 200,000 visits a lot or a little, considering there are 40,000,000 kids age 10 and under in America? There’s zero context given to this number. A statistic about kids getting hurt can always be thrown into an argument to make parents or bureaucrats think, “What an outrage!” It’s like a stop sign for rational risk-taking: Don’t even THINK of of doing X or Y, some kids were hurt somewhere, sometime doing just that. Let’s make sure they never do that again! The facilities department says the new equipment must go. But to make amends, the county is offering to revamp the Stratford Landing playground, using about $135,000 from the county’s coffers. Can you believe the amount of $$$ we’re talking about? Anyhow, the equipment was installed over the summer, complying with what APPEARED to be all the safety regs — and the kids were delighted to start using it in the fall. Soon, however, a Fairfax County playground inspector was on the scene, declaring the structure a hazard. In a written report, the inspector found that among other safety issues, parts of the structure were too tall. One part of the obstacle is 94 inches above the ground, 10 inches higher than the school system allows. The report said that deviating from the school system’s playground protocols “places users at an increased life-safety risk” and that the Evos system could lead to head injuries and neck entrapment. “The equipment should be removed from the property,” according to the report. A climber like the one branded “unsafe” in suburban D.C., despite the fact it met national and international safety standards. Are Today’s Kids So Much More Delicate? Save the Dennis the Menace Train! Next, the school district will not allow children to live in their dangerous homes where the potential for falls, fire and burns, poisionings and drownings is just far to great and can also result in an ER visit. I guess children should be banned from walking, since my kids’ only ER visit resulted from falling over one’s own feet. This frankly sounds like politics to me. They could change the district policy on height of playground equipment if it is not in line with state and international standards. Big deal. Can they at least move the equipment to a nearby park? I’d hate to think this thing’s going to be destroyed because of these idiots. Not all ER visits are for life threatening accidents. My daughter broke her hand during school recess, and we live in a small town with a small pediatric office that is closed Thursdays, so guess where I took her when they called about the hand? The ER. But it certainly wasn’t an emergency, and her hand healed fine. Statistics like “200,000 kids went to the ER” need to be kept in context. That doesn’t mean 200,000 closed head injuries or limb amputations. It’s probably still mostly fairly minor stuff. What bothers me the most is, the existing “unsafe” playground equipment (which, by the way, looks like a ton of fun), was raised by the PTA, through bake sales and other fundraising initiatives. This probably fostered at least some semblance of a sense of community, right? Also, if the kids helped, it probably also taught them about co-operating, working towards a common goal, planning ahead, and a lot of other good things for young people to learn. So, by roping it off over “safety guidelines” that changed in the space of just a few months, and that the school board isn’t even willing to name, they’re undoing all of those positive initiatives–not just the playground equipment itself, but all the things that helped make it happen. Parents aren’t going to want to help with school fundraisers anymore, because they’re just going to think, “Remember the time we raised $35,000 for playground equipment that our kids weren’t even allowed to use?” Meanwhile, the kids will learn that you can work hard for something, only to have it taken away suddenly and arbitrarily, and they probably won’t be too eager to help with the next bake sale or barbecue. So, I think a lot of people are going to learn a lot of lessons over this, but not necessarily good ones. Maybe the kids should trudge around in tight circles, like they do in prison movies. It’s time to bring all the metal slides and ‘monkey bars’ and swing sets back. Oh, and the metal spinning ‘wheel of death’! Best playground equipment ever!! There is a scary growth of child obesity why? Our first ER visit was due to a congenital problem that didn’t reveal itself until our son was 5–so I guess they better ban children from being born. That’s the most effective way to keep them out of the ER! Is there an email address or physical address people can write to? I find this too depressing for words. Sad, sad, sad. Surburban DC is teaming with lawyers and it affects how they see the world. Sad. Also, I don’t mean to minimize SERIOUS accidents, but I and most of my siblings went to the emergency room due to playground accidents ranging from needing stitches to a broken arm. As a parent, a fear of stitches or a broken arm does not keep me up at night. Well, I guess we’re just going to have to set up zero-gravity environments with soft-padded walls (but not too soft, so they can’t cause asphyxiation) so that there is zero risk of injury to any child, doing anything, at any time. Good point about the ER visits, N. My five children have been to the ER for accidents three times total — a second-degree food burn, a snipped-off fingertip that wouldn’t stop bleeding (MY FAULT!) and a bead stuck up a nose (that I didn’t at the time know I could have safely removed myself.) They weren’t playground accidents, but neither were they serious. If you factor out the “minor but need medical attention to be on the safe side” accidents like that, we’re probably talking about a pretty reasonable risk ratio as compared to the cost of not letting kids play on interesting playgrounds. Have any of you seem some of the so called “safe” playground toys, at least according to the inspectors? I’ve seen some at parks, and they all have one thing in common. There are NO KIDS ON THEM!!! Because they are so safe as to be completely boring, and totally un-engaging to kids. I’ve seen numerous studies that show that in order to develop in a normal and healthy manner, children NEED to experience some risk. We are doing them no favors with stuff like this. My daughter broke her arm last summer playing recreational soccer. Should that be banned too? Wait! Don’t answer that! Please! This column reminds me of a PTA meeting I was at several years ago. We were discussing a new playground and one mom from Eastern Europe asked if there was going to be anything challenging on the new playground or if it was going to be “dumbed down” like the other new playgrounds going in around town. The principal answered that there couldn’t be anything too big because the school has pre-K, and kids could get hurt. (The school goes up to 5th grade.) She answered that her neighbor fainted running around in a field – was the school going to ban running around too? Well there is only one thing to do. The PTA needs to gather a couple dozen kids, a bbq, and the media. Go there on Saturday, pull the tape off and let the kids enjoy the structure, while the parents wear t shirts or hold signs in protest. Make the day of it, with bbq, drinks, snacks and the like. Basically use the media to shove it up the boards you know what. My daughter is currently in a cast because she broke two bones in her foot while on the playground at school. She didn’t break it running, jumping or even falling off of a climbing structure. No! My star athlete broke her foot tripping over her own feet. She can’t help it. She’s accident prone. It’s my genetic gift to her. Are we to ban all kids from STANDING UP! It’s dangerous you know. The courts have already stated that when our children enter the school doors, our rights as parents no longer exist. (I can’t cite the case but it was re: parents’ right to remove their children from sxx education classes.) It seems to me that if we are required to bow to their judgement on that subject, that it would be simple enough to apply the same standard to this situation. “The school, acting in our full authority over your child has deemed this equipment suitable, therefore you have no right to sue.” Problem solved. @lollipoplover don’t give them any ideas. Fairfax county already forbids 7 year old kids playing unattended in their own yards. Per @Moonpie Nobot’s question. The “Inquiries and Complaints” page for the Fairfax county school district has a procedure for complaining… http://www.fcps.edu/usingsite/inquiries.shtml (leave it to a bureaucratic area to have a web page on how to properly complain). They also provide email and physical addresses for the various school board members, if you follow all the links. I live in Fairfax County and this sounds just about right for the amount of insanity that usually goes on here. Lots of grassroots support for education and for kids but once things go up the chain, bureaucrats usually pull the rug out from under everything. Every school in this county, I’ll bet, has a similar story to tell of something equally ridiculous. It’s a nightmare! Two of our four went to an elementary down the street where they have a wonderful rope climbing structure, VERY high, and the rule at school was no one in grades K-2 could climb it (during school hours). Our 4-year-old loved to challenge herself on that thing, even though she never got to try it during recess (she switched schools for grade 1). The other kid there, who was officially in “grade two,” was the size of most fifth-graders, so we just told him to go ahead and use the thing, the playground monitors wouldn’t notice him. Seems a good context in which to CELEBRATE the new playground equipment that went in to a public park near us: it’s DANGEROUS!!!! That’s right, it’s downright DANGEROUS. And I saw scores of children, ranging from babies to 13 years old, with parents milling around, and none of the parents were wringing their hands or clucking their tongues or threatening lawsuits. They were saying things like, “Oh! I haven’t seen one of these in years!” (Meaning a merry-go-round) and, “Honey, you have to move out of the way if you fall off,” (To a toddler getting decked by a whirling array of rainboots after spinning off of the merry-go-round). You should not have admitted that in a public forum. Some ambulance chaser will read your admission of guilt. Guilty of passing on your genetic dispostion towards being accident prone. The lawyer will want you daughter to sue you for not providing her only the best genes. How many of the ER visists, were from overprotective parents? Visits that should never have been visits in the first place. I have seen this many times as a coach. Kid comes up limping, from just rolling on the ankle. You tell them they will be fine, walk it off, and mom rushes them for xrays. On the other hand, maybe the PTA could have checked with the school regulations before buying the equipment. Seems like the obvious thing to do. b) that’s where the fight is. Sorry, but if you read the article, linked to this post, you would see that the PTA did contact them, and did receive literature back from them. Yes, many of the schools here (Alaska) have a separate kindergarten playground. 1. I really like Warren’s picnic-and-protest-at-the-playground idea. It’s peaceful, it gets the message across, and it’s fun. Also, I’m not sure what the rules are, but did the school board specifically say that nobody could use that playground at all, ever, or just during school hours? If it’s the latter, then nobody would be breaking any rules by taking their kids to play there on a weekend. 2. Sarah–yes, when I was in elementary school, the playground was divided into age/grade levels as well. Usually, it was primary, junior, and intermediate. However, it was the little kids who got the playground equipment, because generally speaking, after grade three or four, we were considered “too old” to enjoy that kind of thing, although that wasn’t really the case in practice–we’d happily play on the monkey bars, etc., outside of school recess. I guess they were just trying to make sure the youngest kids got to use the equipment, without older kids monopolizing it. Generally speaking, sports activities were considered to be for older kids, but that wasn’t really the case either–my brother was crazy about basketball in grade two, but was considered “too young” for the school teams. By the time he was old enough, he’d lost interest. Sure, let’s overlook a rule that was in place prior to all of this debacle. Meeting state and Federal guidelines is all to the good, but that doesn’t make you exempt from local ones. If the rule is a problem, campaign to change it. It’s how the rule of law works. Warren, sure they received the info, that actually makes it worse becaue they should have known it would be too high. The PTA is responsible for the fact that it doesn’t meet guidelines and the school is responsible for letting it get installed that way instead of warning them before installation when it may have been modifiable. Maybe if they just dig the support posts in nine inches then they’ll be okay. Notice that none of the parents who have posted here about taking their kids to the ER seem even remotely upset about it. I’ve taken my kids to the ER, too, for minor fractures, and am just grateful that the ER was there to patch them up and get them back out. How many of those 200,000 ER visits were of that sort? I grew up in Fairfax County and fondly remember the hijinks that landed me in the ER several times (Stiches to the head twice, posibly broken finger at least once.) The only person my parrents were angry at was me for pulling them out of work. TImes have changed. You speak like people here don’t want to change foolish rules. I am assured of quite the opposite. The PTA isn’t of necessity responsible for this, nor necessarily the school. Not everything gets constructed the way the plans indicated they would. Perhaps the contractor didn’t dig the posts in far enough. Perhaps the factory cut the posts too long. Often there are less extreme remedies for a building error than ripping the whole thing up and throwing it away. How about adding extra dirt, or digging it in deeper? That has got to be cheaper than $135,000. And there is leaving it in place and changing the county’s rules if they are stricter than the already strict federal regulations. Didn’t read all the comments, so this may have already been addressed, but wouldn’t one assume that someone with some authority over the playground approved the initial purchase and installation? Shouldn’t this have been discovered BEFORE the piece was installed?? @W According to linked article, they could not know about the height limit, because that limit was not told to them. They were given playground building procedures and a list of approved manufactures. If parents don’t protest this, they get what they deserve! Safety standards can be changed. They are not handed down by God. As Kristi said in her comment – her own daughter injured her foot merely by tripping. Accidents happen. She did not sue the school for lack of adequate supervision. School administrators don’t understand – because they are NOT CREATIVE – that anybody who wants to sue a school can and will build a convincing case no matter what the circumstances are. A lawsuit is all about blame. It will not matter if the school is abiding by set standards and practices. We live in a blaming society where many people don’t want to accept personal responsibility for anything. I would like to hear an attorney weigh in on WHY schools don’t use waivers for situations like this. The PTA asked for the boards input. They were given literature, so to Jeff and W I ask this question. Or they were given a set of guidelines that were broad and vague, as most administrations like to do, so that their inspector can define the rules as he sees fit. The PTA and the manufacturer went to great lengths to meet and exceed federal, state, and local safety requirements, who would have thought that the janitor needed to put his seal of approval on it. This is nothing more than people who looked at a drawing and said cool let’s do it, and then when the actual structure went up………………..it was holy crap. A case of gutless administrators covering their collective asses. The other option is an overprotective parent complained, and now we are where we are. Take your pick. As for pushing for standards to change, laws to be reformed, and policies to change, that is all well and good. Unfortunately the kids that are upset they cannot play on this now, will be in college by the time anything is done. All for peaceful resolution, but also there comes a time to just act. Personally, I would just tell my kid to go ahead. I would take the day off work, to be there to watch them play on it, and to defend them to the school staff, when they tried to stop them. @Warren someone commented that competing company complained. I have no way to guess whether it is true, but it sounds at least as plausible as overprotective parent. The playground was opened and kids played on it for few days, so I do not think that it was school administrator who started the problem. I wonder how this is going to be received in here. When we lived in the town previous to this one, I was on shift work and spent many hours helping the school. I noticed a couple of sad things. 1. Too many parents volunteering and helping with things like the PTA, not out of kindness, but rather appearance, and the social status given to them. 2. That alot of the mothers on these committees and groups were more competitive than a hockey team. 3. The gossip and backstabbing rivalled a soap opera. So I do not doubt that a parent complained out of being overprotective, jealous or just plain bitchy. Which in turn started this whole ball rollling. About the kids in the ER numbers – I landed in ER more than 20 times before I turned 18 yo. Not one was for a playground accident. Most were because back then food manufactures did not have to list the types of oils used. Anything that came from a plant could be called vegetable oil. Since I’m allergic to peanut oil -that landed me in the ER multiple times. It changed about the time I was 10. Other times I landed there because it was the weekend and our doctor’s office sent me there because of chronic issues flaring up. A few years back we sent one of my students to the ER 2x. She was having a serious asthma attack both times – and none of the numbers we had for her family worked. Normally her family would have been called and they could have taken her to a family doctor. Since when do ER visits constitute a reason to dumb down playgrounds? I mean, I guess I’m grateful that times have changed since the metal climber of my 70s elementary school was sunk into bare concrete, but I’m in the camp that if you set down 10″ or 12″ of woodchips, hell, put in any kind of climber you like! KIds fall off. They always have. A broken arm used to be a rite of passage, now it’s a federal emergency. Sheesh. My wife believes that some of this craziness is because there are too many women in charge of educational facilities. In Australia we have parents (successfully) sued when kids have fallen off a bunk bed – while mucking around – because his attitude had changed in the year after … he was 11 at the time! Another cause a seed hit him while playing on a trampoline while in d backyard …. so i can see the concren but don’t agree with it! What amazes me more is THIS is where the school system spends it’s time & money …. The tree in that picture looks like it may be a bit taller than the play structure… they better cut it down too… and any other trees near the school. Geez… my kid was one of the 200,000 with a broken limb this year from a playground accident, and the thing she fell off was only about 12-18 inches off the ground! Maybe we should change the height limit to 6 inches? @Warren To points 1, 2 and 3, I’m not particularly surprised. Active members of PTA need a lot of time, which often leads to 3. Despite all stereotypes, woman are competitive too, especially in highly competitive culture as America has. And if they are competitive, but they do not work or the work is not satisfying, the PTA seems like the only place where that competitiveness can go. If it is the only available target, then it is going to be hit strong. I’m only surprised about 1, being in PTA gives you high social status? I did not knew that. But the article does not mention another group of parents complaining about danger. And competitiveness is still far away from direct malice. And mostly, it seems to me that people are way too quick to blame parents these days. Any time something bad happen, people immediately assume that it is either lazy or overprotective parent. The same effect was under the train article – comments assumed the very same thing – although that was not the case. Lastly, while I tend to defend parents right now, unreasonable people exist and some of them are parents. If the system bend over backwards to demands of the most unreasonable parents out there, then the system is badly designed. Good system must respond to parental demands, but it must not be so easy to be abused by minority of 1 person. It will end up as petty tyranny of the craziest one with most time in hands and it will be only fair to blame the system itself. Some parent complained is no excuse for safety inspector making limits as he go without having them written somewhere. Neither it is excuse for the system for not communicating those limits to schools. When I said social status, I meant that they are only on the PTA to as a show, that for them belonging is more important than the work. Tis is all rather odd. The playground equipment (in the newspaper link) is not particularly high, so how is it getting canned because of height restrictions? @Warren, frankly I am surprised at the mildness of your suggestions regarding protests around this issue. This strikes me as, finally, a cause worthy of the nutjobs at the NRA. With so many Americans insisting on their ‘right’ to possess ridiculous types and quantitities of guns, surely at least some of the parents at this school have caches. Let them put them to good use for a change, and station armed posses around the edge of the playground. This will surely ensure freedom for their kids, at least until Bruce Willis sends the tanks in…..
@Andy–“If no one gets hurt, it’s a Miracle?” Really? The playground equipment in the picture you linked us to looks perfectly safe. I don’t see the point in building a playground for such a small age range of kids (the sign in the photo says it’s recommended for ages 2-5), but it definitely doesn’t look dangerous. Now, my daughter has at least 5 classmates (9th grade) who have concussions, severe enough, in some cases, to have to delay, or not take, exams. All sports injuries. In Fairfax County a few years ago there was a movement to change the hours for high school and elementary school – to flip the current system and have HS go later in the morning and elementary earlier, to better match sleep needs and therefore learning potential for the students (evidenced-based decision making – wow!). What defeated this very good idea was that the HS day would be longer and it might INTERFERE WITH SPORTS. What do you think the reaction would be if it were suggested that the School Board eliminate sports teams in Fairfax County because of actual injuries? CARS send kids to the emergency room!!! Ban kids from getting in cars!! MOTOR vehicle accidents leading cause of accidental death for kids! @Emilly I did not used the word miracle. Somebody else did. And I thought there was a study out not too long ago that said playgrounds were too safe and kids weren’t developing certain skills by certain ages like they should because of the overly-safe playgrounds. I think that most playgrounds in the U.S. are incredibly boring compared to what we used to have. This past summer, I found a playground in my city that still had one of those old Merry-Go-Rounds, the kind that was round and flat with some bars sticking up from the middle going to the side for the kids to hole onto, the kind we used to push as fast as we could and then jump on while it was spinning. I was shocked to see one so my kids and I immediately stopped our errands and went over and played on it and I took lots of pictures (who knows how much longer it will be there!). My kids’ old school had a zip line removed after it had been installed for two weeks (during the summer, no less). That reaction was reasonable, I think, as two children in that time broke bones as a result of playing on it. The school has the playground open for public use outside of school and after school activity hours, so the playground is used regularly, but isn’t crowded or anything. Two broken bones that soon, though, and I can see where liability would be a huge issue. Then again, my niece just broke her arm the other day, walking around her church, badly enough that I understand the bones aren’t lined up. Just walking, not playing around. Sometimes broken bones happen, and it’s not a safety issue. The playground equipment in this article looks like lots of fun. My kids’ current school badly needs new playground equipment, so I’m just jealous! Keep in mind that 200,000 kids visiting the Emergency Room must imply that it was an Emergency? Don’t you understand?! EMERGENCY! Seriously, as has been said, the Emergency Room is where you go when (a) you have a real emergency, (b) it’s not a real emergency but it is after hours and you don’t know where else to go, or (c) you have no health insurance because they will treat you. As an aside, and this is somewhat political, I’m sure some of the reason for the lawsuits has to do with the high cost of healthcare/health insurance. Yeah, kids will break bones. But if that visit to the ER costs half of my year’s salary, I’m going to be looking for somebody to pay that for me. So they will spend $135,000 on new ‘safe’ equipment. If they’re that concerned with litigation risk, they need to calculate how many compensation cases they might expect over x time and what the likely average pay-out might be (wouldn’t be much for a broken arm, but lots .or serious head injury). Then compare that to the cost of installing, maintaining, inspecting and renewing their ultra-safe equipment, the difference in cost with the current equipment etc. Smart people also know that the cost of not allowing kids to encounter any risk should be factored into that too. And possibly the health costs resulting from obesity in childhood. If you’re going to treat this stuff as a purely financial calculation, at least be thorough! One traditional one was installed on the University of Santa Cruz campus. A physics professor uses it to teach his college classes. It is hidden in the woods, but my husband found it and my kids LOVED to visit Dad at work because we would always walk over to it. The prof who had it installed had to have a shop make his new because no one was making them at the time he wanted to have it. As a result, it is stainless steel and will last forever! We have what looks to be almost the same thing near our house. I’ve never heard of a child being seriously hurt on it. Our school district cancelled the “Frigid Friday Polar Bear Plunge” scheduled today (February 1), because it was too frigid. For February. In a SANE legal system the fact that a piece of playground equipment met all national and international safety standards OUGHT to provide liability protection. Under our lunatic modern tort system, it probably doesn’t. Solving this will take more than massive increases in common sense; it will take tort reform. Now I want to investigate the litigation fear. Is it just simply legal hysteria or are their backs against the wall from insurance profiteering? Why are parents allowed to sue if their child fell 94 inches? More to the point, why do plaintiffs have nothing to lose? Why are people allowed (without fear of losing the case) to get a no win no fee lawyer and trump up a case in hopes that the other will settle? If the plaintiff loses, they don’t pay the defendants legal fees. Therefore it’s like playing the lottery. Everybody has the right to sue for even the most trivial things and the biggest long shots. We need to change this. However lawyers lobby HARD against changing this because they like to be hired for even the nuisance cases. First off it would be completely impractical. Not everyone is going to sign the waiver. Helicopter parents won’t. Crappy parents who don’t bother to sign anything for their kids won’t. Parents whose kids lost the waiver form on the way home from school won’t. Parents of kids who lost the waiver form on the way back to school will sign but nobody will ever know. Then teachers are responsible for remembering which parents signed and which didn’t on the fly on the playground and would need to constantly keep an eye on that equipment to make sure Snowflake isn’t on it. More trouble than it is worth. Second, you can always get around waivers. About the best that can be said for waivers is that if people think they are valid, they won’t sue. I know this is an awful thought, but what the heck. With this epidemic of school shootings, why oh why can they not be at a law school, to eliminate some of the future lawyers. I am also surprised that there hasn’t been a rash of shoulder and back injuries, in the legal and insurance fields, with all the patting themselves on the back, and bending over to kiss each other’s butts. Thanks, Donna, for “beginning” to answer my question. I’m hoping you can elaborate a bit more. Couldn’t the school just require parents to sign a waiver at the beginning of school when parents register their children? I’ve heard that before, but nobody ever explains how. How does a person get around a waiver that’s CLEARLY spelled out, with no wiggle room? You could get a waiver such as you described signed in a private school. You couldn’t in a public school. Kids are entitled to an education and you can’t keep them out for refusing to sign a waiver concerning physical injuries. There is always wiggle room. The major wiggle room here is that the waiver would not be signed by the injured party and you can’t waive other people’s rights, even your own children’s. The PARENT isn’t going to be injured in a playground accident; the CHILD is and the child has agreed to nothing. While a waiver signed by the parent may get around reimbursing the parents for their own out-of-pocket medical bills (possibly not even thar unless both parents sign), it can’t stop a lawsuit on behalf of the child for his/her damages (pain and suffering and maybe more if a serious injury). Nor can you waive your health insurance companies rights. Your health insurance is who is actually going to get reimbursed in the case of an injury, not you. Your health insurance has a right to seek any reimbursement that it is entitled to regardless of what you do. And waivers don’t apply to negligent acts for obvious reasons – you don’t want people to be able to act carelessly and get waivers signed to absolve them of any repercussions. To the extent that it can be shown that the school was negligent in any way as it related to this equipment (installed improperly, maintained improperly, allowed kids to use in an improper way, etc) then a waiver is meaningless. Call me crazy, but if fear of litigation is an issue, then why not simply ask the parents to sign a waiver? No offense Donna, but waivers I believe were invented by lawyers, just to give people a false sense of security, from lawsuits. @ Warren – I do think waivers offer some protection but only in the fact that people who sign them then believe that they cannot sue so don’t. Actually in my experience, the extensive litigation in the US is as much of a myth as the abduction one. Yes, stupid lawsuits happen but they are rare and highly publized. But people fear that they will be sued for every little thing and act accordingly just like people believe that their children are in danger every second and act accordingly. Fear is a powerful thing even when not based on reality. The media is just as much to blame as the ambulance chaser class of lawyer. They hype the outrageous lawsuits when they are filed, but never follow up on them. Not exciting, breaking news to find out a lawsuit had been tossed. To make something sound scary, use absolute numbers – and expand the domain enough until it sounds scary. If there aren’t enough in the US, just use the world numbers and don’t specify your domain. To make something sound safe, use percentages. I don’t know, isn’t there some degree of hoist by your own petard here? The PTA clearly buys into the safety nonsense, going with this company that brags, not about how fun their stuff is, but how safe it is. Maybe it’s a bit of a delicious irony for them to be caught by the policies they seem to endorse. Also, if a competing company did make the complaint – also interesting. That’s what this company gets for profiting off of fear. Frankly, I think men are more comfortable with dangerous stuff for their kids since they themselves, as boys, took a few hits, a skinned knee or bloody nose here and there, and managed to survive. Reminds me of a baseball coach that told me to shake it off, when I really did feel hurt. But after ten minutes I was fine. Perhaps the more that females are used to hard knocks, the less hyper they will be as mothers. Who knows? All I know here is that women get very concerned, very fast about what seems to Cap to be the least thing. Thank you, Donna, for the details. I understand them to a point, but I still don’t understand certain aspects. Maybe “waiver” is not the term for what I was thinking about. How do schools handle the dangers of football or gymnastics? Couldn’t they handle a piece of playground equipment the same way? I don’t think it is necessarily mothers – kids have always had mothers so that isn’t a change from previous, less cautious generations. I think it is that most mothers now work. Not knocking working mothers as I am one and wouldn’t have it any other way even if I could stay home. But we do need to deal with a broken arm or stitches while balancing work demands now. A friend’s 3 year old seriously broke his leg last year jumping on a bed. He was out of preschool for a couple weeks because they couldn’t even put a cast on. Once he returned to preschool, he had to be accompanied for several weeks because 3 year olds can’t use crutches to get around. She was lucky in that she already had an au pair for home and could afford to hire an aide for school but other mothers would be screwed if this happened. It makes them more cautious. What would be the point in having anyone sign that? It doesn’t do anything or change anything. The difference between football or gymnastics is that you don’t have to play. You can choose to join the football team or not and only those who are on the team – ie signed the waiver – are on the field. Everyone gets recess and we are back to teachers having to keep track of which kids can use which equipment. PE classes pose a different issue since they are mandatory but many I’ve seen have been so dumbed down as to not provide much by way of risk any more. There are two parks my kids go to with this same structure. They are definitely some of the most fun new structures being made now. I worked at an afterschool program in a school a few years back. About halfway through the year, and inspector came by and put about half the playground equipment off limits for the afterschool kids. Imagine trying to explain to kids why the playground they used at recess was suddenly too dangerous from 3-6PM. Anyway, I’m guessing it was a wandering compliance inspector like that who is responsible for stirring this up. Someone with liability and nothing else in their brain. I hope they win their fight. I love the picnic idea, as well. @Puzzled, I’ve noticed that a lot lately, failure to specify a domain. Drives me bonkers. At the risk of the “famous last words” phenomenon, you guys should see the climbing apparatus my shrimpy kids get to play on at school. There is one bar all by itself about 7′ or 8′ up. The intended use, presumably, is for the bigger kids to practice chin-ups. But my kids (1st graders) climb up there and do gymnastics flips and such. Note, my eldest is the height of a typical pre-K student. One of my kids (then age 5) fell off that high bar twice, while hanging upside down. She (not the most athletic kid) didn’t give herself enough time to grab the side bar before her legs gave way. The second time she fell, she went to the nurse’s office for a while before resuming activities. I assume she hit her head on the metal bar near the ground. Note that I said my kid fell twice off the same bar (on the same day). Meaning that her teacher did not prohibit her from going up there a second time. Thankfully Teacher has not forgotten those days when it was not considered a national crisis if a kid fell off the monkey bars. This is a parochial K-8 school. The nearby K-4 public school has some pretty high bars too. But shh – don’t tell anyone. I’d like to keep it that way. As for the PTA giving its members “status” – that is probably somewhat true. If you are a member, some people take that to mean you care more about your kids’ education than other parents do. I am not a member, and have no intentions of becoming one. I have done a substantial run with nonprofits, and now I am focusing on my family, my job, and a couple of charities for kids who are on the opposite end of the “privilege” spectrum. The other day I attended a meeting with the school psych re my daughter, and my kids’ teacher was raving about what a dedicated mom I was. I was surprised. I do a lot with my kids, but it’s a private matter. 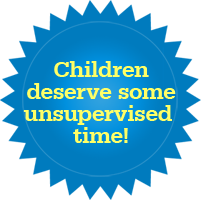 I appreciate those who work hard on the PTA, but I have no guilt over letting them do all of that work. If it comes with rewards, so be it. When I was in grade nine, I took gym classes for a semester, because it was mandatory. During my year, a boy I knew broke his leg badly during wrestling, during a mandatory gym class. I didn’t see this happen, because it was separated into boys’ and girls’ classes, and girls did self-defense instead of wrestling, but anyway, his leg was broken so badly that he couldn’t get up and down the stairs, and our school didn’t have any elevators/escalators or similar provisions for the differently abled. So, he had to sit alone in the ESL room on the main floor, and people would bring him his schoolwork over the course of the day. Fortunately, the music room and the cafeteria were on the main floor, so in addition to being able to attend his main-floor classes, he could still be with people at lunch time, and participate in band practice after school as well, except that the music room where the instruments were kept was sunken, so he’d have a bit of trouble getting up and down the four or five steps to get his clarinet and band folder, and put them back after rehearsal, so one of the rest of us would usually help him. Anyway, this went on for about two months, if I remember correctly, and I knew this boy well enough to know that he was fairly stoical and didn’t complain much, but being confined to a room by himself for so much of the day, was really no picnic for him. Three years later, when my brother was in grade nine, he also had to take gym, but the school sent home a waiver saying that the school wouldn’t be held responsible in the case of “cuts, bruises, sprains, strains, broken bones, or death,” or some such. My mom signed it, but added a note that said, basically, “I will allow my son to participate, but I’m a lawyer, and this isn’t a valid contract, because gym classes are mandatory for credit, and there’s no way for anyone to opt out.” But, I just have to wonder, what would the school do if a parent were to say no to gym class for their kid, because of the potential dangers? The school probably couldn’t legally flunk a student because their parent didn’t permit them to do something that they themselves admitted could be dangerous. If the structures of the manufacturer are tested to comply with safety standards, and this particular structure is too high, then it was most probably installed improperly. Conclusion is not to dump it, but to reinstall it – dig deeper! Costs a fraction of the amount mentioned. Safety inspectors are not per se useless, they are there to discover just this kind of mistake, and safety standards are not per se useless, they are ongoing, learning development. (At least this is true of standards over here.) They are not cottonwool all over, rather they are actually tested to generate a limit of _acceptable_ injury, which may very well even include fractured bones. Wait a second…….I’ve been seeing a lot of controversy here over the height of the equipment, but how do they measure that? Is it from the highest point on the play structure, or the highest point that the kids can climb/hang from? Because, in the photo of the “Ring Tangle” climber, there are two little girls climbing on the monkey bars, with their feet on the lower part of the “squiggle” in the bars, and their hands holding onto the upper part of the “squiggle,” which was obviously designed as a handhold. Meanwhile, there’s a little boy hanging from the underside of the bars, with his feet probably about six inches from the ground. Another child is climbing up the bars, and has handrails on both sides. Also, the way the “squiggle” bars are designed, it’s pretty much impossible for a child to hang upside down from their knees from those bars, because there isn’t enough space on the lower part of the squiggle, to accommodate both knees. So, I guess what I’m saying is, the fact that one part of the bars sticks up a bit, is pretty immaterial, if there’s no chance of anyone actually falling from there. I know that the kids could theoretically sit on the “up” part of the squiggle (and could therefore theoretically fall from there), but it looks pretty uncomfortable. I think the “squiggle bars” were designed both for visual appeal and for safety, because they inherently restrict several forms of potentially dangerous play. I declare use of paper, pens, and penils to be dangerous. If it was not properly installed, and thus creating the height violation, then it actually shouldn’t cost anything to fix. If you have paid a contractor, or in some case the manufacturer to install the equipment, then they are responsible for doing so within code. The fix, therefore would be on the contractor’s or manufacturer’s dime, not the school’s or PTA’s. Wish you could see the playgrounds over in France. And how skillfully 2-year-olds climb on various types of equipment. You might wonder how come any of this is still allowed! Although we, too, complain that the ones we had 20 years ago were so much better. My own two-year old has been to the ER several times, never because of those playgrounds: once for falling off a chair, once for falling off a special, low, “safe” baby swing… Risk is part of life. Full stop. I wonder if there was one stresser, one defining event that caused the reversal of attitudes towards kids getting hurt during the course of playing. Be it organized or freeplay. For example, we had a small ravine with a creek running through it. We used to get old beat up bikes, and make them at least ready for one attempt. Brakes were not a priority. The goal……race down one side of the ravine, and jump the creek. I will never forget when one of our gang raced down the path, hit the bank and was airborne. Not nearly long enough and went face first into the opposite bank. Broken and bloodied nose. And two incredible black eyes. Though black wasn’t the colour. More that sickly yellow green bruising. And though he didn’t go to the hospital, I am sure some measure of a concussion. When he got home, a couple hours later, because we were all having a blast, his parents asked what happened. He told them, and we just sort of nodded. When asked if he learned anything from it, he said yes. To use a girls bike from now own, because the boys bike with upper frame was nasty on his nuts. His mom and dad laughed and acknowledged the fact that at least he was thinking of how to improve his efforts. No one got punished. No fences were built. And we were out there the next weekend doing it all over again. When the hell did this all change. If this were some places in the states, parents of a 10 year old, that did that would be in jail. Warren–I hope your friend’s parents at least got him some kind of medical attention, to fix up his broken nose. As for the line about the girls’ bike, though, I always wondered about that too–why do boys’ and men’s bikes have the bar RIGHT THERE, where if a male rider were to land on it straddled, then it’d act as free birth control? I know that girls’ and women’s bikes were made without that bar to accommodate riding a bike in a skirt or a dress, but then, why not just make all bikes that way? Why can’t bicycles be gender-neutral, like most other vehicles? @Emily Male bike version is technically better. It is stronger in case of crash and has lower resistance so you go little bit faster with the same effort. Or something like that. Optimally, there should be 8-10cm between that place and bike bar, so the man should not land right there too often :). It is a historical issue with women’s bikes. That specific bar is more stable for the bike, but back in the day, women’s skirts got in the way. As for my buddy getting medical attention. His dad felt his nose, figured it was straight enough. Broken noses are not that serious, trust me. Mine is waiting for break number three. Baseball, and then a hockey fight. With his nose, you have to remeber that his parents found out well after the fact. He was fine, so there was no sense in having it wiggled, or perhaps even re broken to just straighten it a little. We are talking 35 years ago, before parents had plastic surgeons on speed dial. 35 years ago, a broken nose, black eye, a cast, stitches, crutches, bruises, scars and them all were things to be proud of, not worried about. Hell, it would take me hours to try and figure out exactly how many times I taped a broken finger to the good one beside it, so I could finish the game. Yeah, that’s exactly what I’m saying–women don’t usually ride bikes in skirts anymore, but men still have those sensitive parts that can be easily banged up on a bike bar. So, what I’m saying is, the tradition of “gendered” bike design seems to have outlived its usefulness. My husband is one of 10 kids (all adults now). Unless my RN mother-in-law- could patch them up herself, every single one of them went to the ER for accidents, ranging from the mundane to the bizarre (how exactly do you manage to impale your armpit on a picket fence?). @Captain America – I agree – there are too many women (and not enough men) in the elementary school system. I wish it were different, so that the gender-balance were more representative of reality…. @Aimee I’m afraid that the only way how to achieve the gender balance would be to substantially raise salaries … so the men would be willing to work there. It is not much respected profession right now, teachers have little independence,a lot of bureaucracy and generally little attractive working conditions, so men will not hurry in unless given money. On the topic of the ER visits. I do not expect parents to be top notch triage nurses. But I do expect them to use their heads, and I know that is alot to expect. One of the girls on my ball team rolled her ankle rounding third. She made it to home, but was hobbling. It was a tournament, so their was a first aid station, manned by volunteer firefighters. I knew she was fine, but they asked if they could look at her. They came to the same conclusion, that at the worst it was a mild sprain. My 9 yr old player wanted to still play, so the firefighters wrapped her ankle, with the shoe still on. And we considered her good to go. Mom insisted she leave, pulled her out of the tournie, and off to the ER they went. Final diagnosis, not even a mild sprain. But Mom still kept her away for two weeks. I moved up in age brackets, with my daughter, otherwise I wouldn’t be able to coach and see her play. My assist. coach and I had a deal, he dealt with my kid, and I dealt with his. That way it coach to player, not a dad. When they were 11 one of the boys on the team cut a half decent cut on his shin. Being hot and sweaty it appeared to be gushing, but in reality wasnt. My oldest daughter was scorekeeping that night. I waived her over, and stole a tampon from her purse. Used the tampon to cover the cut, and taped him up. He was ready to keep playing. Mom took him to the hospital immediately. Final result, no stitches, just a butterfly, which we were going to do, when the bleeding stopped. There are more, but you get the idea. These were 2 bogus trips to the ER. But they will go down in the stats as 2 ER visits do to organized sports. I’m lucky to live in a city with many excellent, challenging playgrounds. I’m also lucky to live with a health inspector, which up here includes inspecting playgrounds and swimming pools. I’ve learned a lot about why the rules are the way they are. Now, I can’t comment on the height (is falling from 94 inches substantially more like to result in injury than 84? is there even data?) — but if the school board has a height restriction in the first place, even if it’s different from national standards, why on earth wasn’t it followed? Someone thought they’d just ignore it and no one would notice? Or didn’t bother to check? Um. However, the concern about neck entrapment scares me. Neck entrapment and pinch hazards are big reasons playground equipment around here gets labelled as “noncompliant” and then switched out. There should not be spots where hoods/drawstrings/collars can get snagged & strangle a child(who may not be strong enough to disentangle themselves); there should not be spots where kids can fall through, body first, and get their heads stuck (better they should fall all the way through than hang themselves); there should not be moving parts that could catch and amputate a finger. These are HIGH CONSEQUENCE events — not booboos — that could be prevented without compromising play, so even if the risk is small, it makes sense to design smartly. And if you put up a structure and then invite — or in the case of recess, pretty much insist — crowds of kids to play on it, you do need to follow code. Before you all flame me for being a wuss (and spare me the “but we all survived old-fashioned playgrounds” argument; it’s entirely irrelevant. I survived my childhood without seatbelts, too, but that didn’t stop me from learning from other people’s tragedies) shouldn’t we find out whether the structure actually was designed and installed correctly? Strikes me it’s entirely possible for something to be rubber-stamped as meeting “standards” only to find out it doesn’t. Though maybe where you live Federal inspectors aren’t overwhelmed and companies always manufacture to specifications. In which case I have a bridge to sell you. And lastly, couldn’t it be possible that not every adult who identifies a safety problem is either misguided or just wrong? P.S., Another point–before monkey bars were even invented, there were trees, and kids climbed them. Surely, some kid, somewhere, must have gotten his or her scarf (or whatever) caught on a tree branch. However, I bet it didn’t even occur to anyone to rid the world of trees after that incident, right? I am sorry to burst your bubble, but the rules and guidelines set out for your wonderful inspectors to go by, come from where, not the gov’t, not any agency looking out for our children’s safety, no it comes from the manufacturers of playground equipment. They fund and support all these overprotective parent organizations, who in turn fund and support lobbyist, who in turn pressure the gov’t to comply. Also, once you come down of your paranoia, and look at it objectively, you cannot remove all risk from childhood. My next door neighbours kid broke an ankle running across the field. To fullfill you ideas FF, we have to bubble wrap the kids and remove them from all physical activity. Ain’t gonna happen, and I won’t let it happen. New guidelines, standard and European safety standards for playgrounds and public environments. Artotec have been and is a driving force behind the renewal of standard industry. We contributed to the renewal of European security standard for playgrounds and public spaces (in accordance with the new standards EN 1176:2008, named on page 1 of the new manual). We also participated in conducting various additional studies in collaboration with for exemple the Agency for Defense of consumer, SIAT (Swedish Institute of Assistive Technology), the RBU (Nationle Association for Children and Youth with Disabilities) FUB (For children, young and adults with intellectual disabilities), SKL (development Agency of Communities and regions of Sweden), the IPA (International Play Association) and international universities and institutions. Often, the ground access of the playgrounds and many facilities are not suitable for people with reduced mobility or intellectual disabilities, both auditory motor or sensory. The gear is too complicated with regard to their possibilities. It was also noted that accidents occurring in playgrounds are partly due to a large attendance of these places and that even this type of activity, very physical, present certain risks. In too many if maintenance has been neglected space and thus indirectly contributed to an accident. In too many cases, the maintenance of the space has been neglected and therefore contributed to an accident. Unfortunately, since the changes of the last European safety standards (-EN 1176:2008), many playgrounds are not compliant. Equipment made with inferior materials are not up to the requirements and frequency of use. 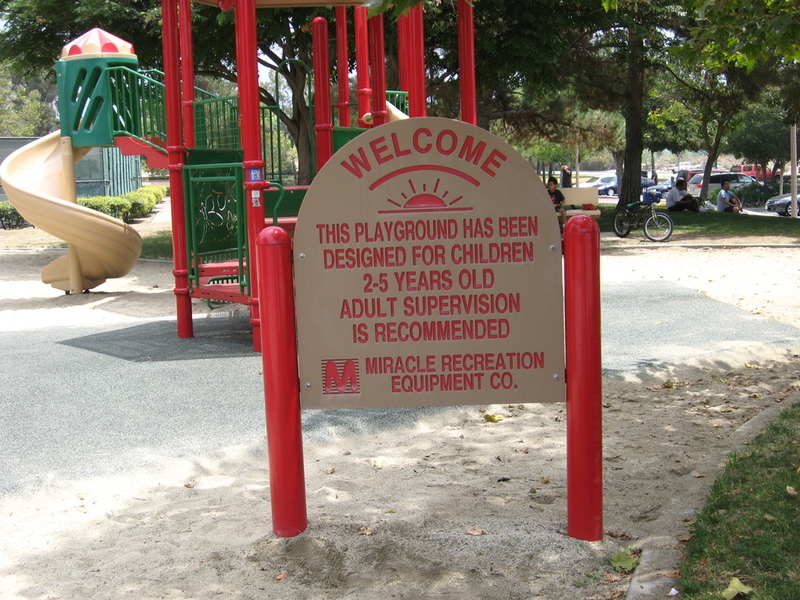 Moreover, only 1% of all playgrounds are accessible to people with disabilities. Our designs are committed to highlight issues related to safety and quality and have, in this respect, a healthy turnover of this sector. ARTOTEC AB designs, develops, manufactures and markets recreational sculptures and street furniture innovative, accessible, robust and durable, easy to use and easy to install. Attractive equipment for outdoor environments for relaxation and sporting activities for all ages. ARTOTEC [Art & Technology] is a European company that combines artistic and innovative technology to the service of local authorities, contractors, architectural firms, landscape designers and creator of urban spaces. ARTOTEC is also an organization of experts in the fields of technology, science and art to promote the creation of new playgrounds and outdoor equipment for children and also for adults. ARTOTEC [Art & Technology] offers a range of products recognized as artistic, aesthetic and durable, modern, colorful and of the highest quality to create playgrounds and rest areas for all outdoor environment, accessible to all. – Innovate and create an artistic identity accessible to all. – Ensure the safety, reliability, quality of equipment and products. ARTOTEC [Art & Technology] is an organization that is interdisciplinary bringing together experts from different fields of technology, science and art to promote the creation of new playgrounds, street furniture and outdoor equipment for children and adults. – Materials and high-end finishes. – Product very robust and durable thanks to carefully selected choice of materials and using design of organic form. – Report on the use and accessibility. Equipment designed to be used, among others, by children and adults with disabilities. Article published on the The Swedish Institute of Assistive Technology (SIAT) website. ARTOTEC a signature for quality! We would like to introduce our Pre-school and Childcare Center – the HERITAGE CHRISTIAN ACADEMY (a subsidiary of our Christian organization the – Dayspring Missions of Hope Inc. –a 501(c) 3 Not- for- profit organization. We are a small Christian pre- school in Orlando, Florida caring for children ages 0 – 5 and 5 – 12 years. Under the umbrella of Dayspring Missions, we also undertake a lot of Humanitarian work caring for less privileged Children in other Nations. Presently our school is in need of some playground equipments and we are reaching out to you to see if your company might have some in your inventories that may be donated to our Pre-school at this time. We can be reached via above address, the email at heritagekids@live.com or telephone number 407-234-7331. You can also visit our web address at http://www.dayspringmissionsofhope.org to know who we are.